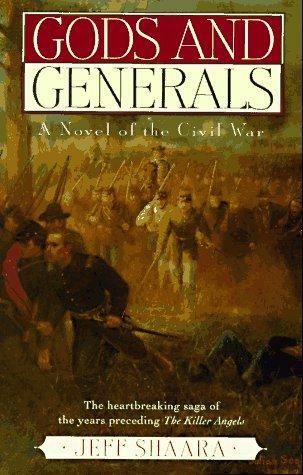 Gods and Generals by Jeff Shaara, is a book I’ve long wanted to read. The movie based off of this book is my favorite movie of all time, and I’ve seen it at least a million times. Knowing that the movies are very closely based on the books, I decided to give this a read. For the most part, I wasn’t disappointed. As with Last Full Measure, Shaara’s writing style is a little strange. It’s not enough to detract from the story substantially, but it’s enough to be an annoying niggle. I also found myself comparing the book with the movie countless times; this is sort of unavoidable. 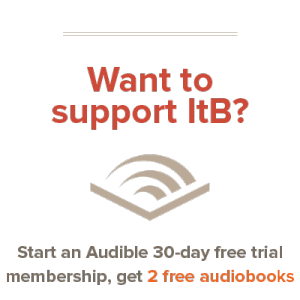 The story, obviously, follows the same path as the movie: the beginning of the Civil War, specifically, the lives of Joshua Chamberlain, Winfield Hancock, Robert E. Lee, and Thomas Jackson. And the book is just as engrossing as the movie. The story is masterfully woven, an excellent plot which focuses on the characters and the people behind the war, rather than raw war itself. Some themes have been expanded in the movie, others have been shrunk. The entire first portion of the book, telling of Hancock in California, and Lee’s actions before the war, is dropped from the movie. Still, it felt like a complete story…there was more backstory, more reason behind much of what happens later on in the book, which I appreciated. Some subplots were expanded in the movie, most notably, that of Jane Corbin, the little girl who Jackson befriends during the winter of 1862. One of the neat things about this book is that some dialogue in the movie is taken literally word for word from the books. This basically meant that I kept following along in the movie, in my head, as I read the book. For the most part, this was a really enjoyable experience. I already had images in my head for all of the characters, could follow them as I read. I suspect if I’d read the book first, the result would have been quite opposite. Overall, this was an excellent book. It measures up to the movie in almost every respect. If you’re at all interested in the Civil War or if you’ve read “The Killer Angels” (First book in the trilogy), you are in for a treat with Gods and Generals. And while you’re at it, watch the movie too!